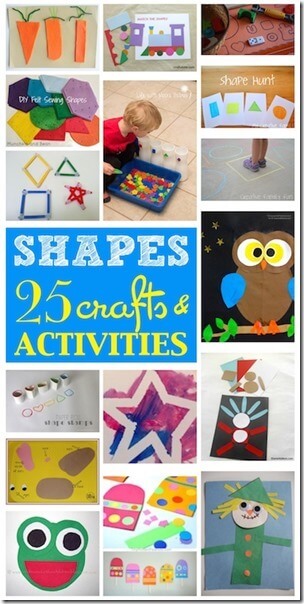 This is my favorite Christmas Tree Crafts we’ve made. I love how the three unique techniques we used came together to create a stunning keepsake which continues to be one of my favorite Christmas Crafts . 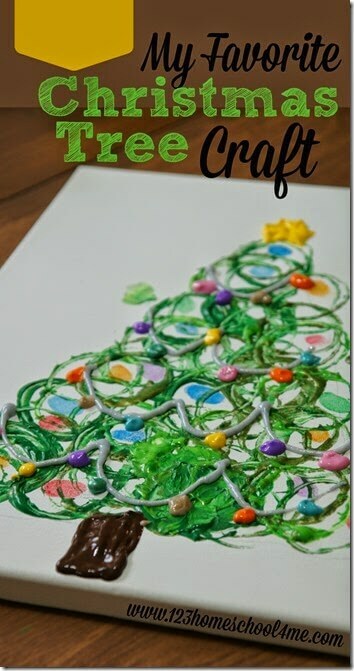 We’ve done several Christmas Tree Crafts over the years, but this one continues to be a favorite of mine. 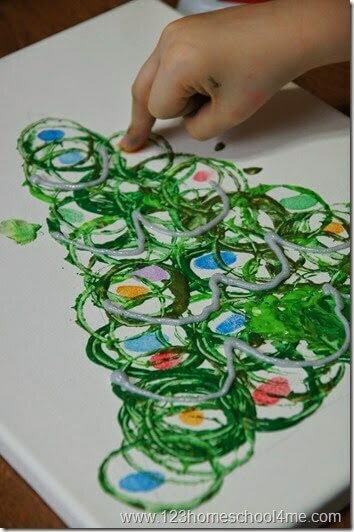 I love how the acrylic paint, stamp pad, and puffy paint come together in different layers to create a truly beautiful and unique piece of artwork that my daughter is still so proud of. I smile every time I walk past it hanging on our wall! Now, using a pencil, lightly draw a triangle covering most of the surface of the project leaving a 3-4” blank at the top and bottom. 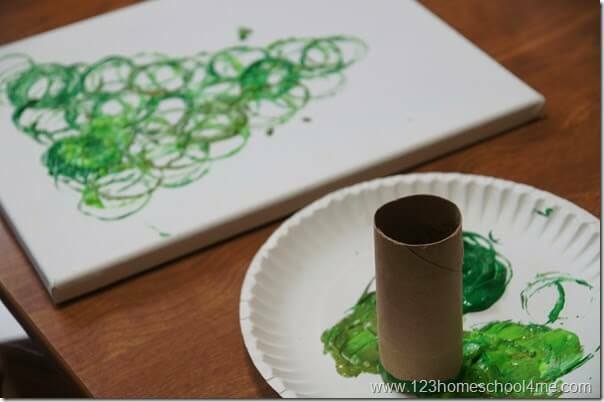 Using three different shades of green acrylic paint, have your child stamp circles in the triangle using an empty toilet paper. 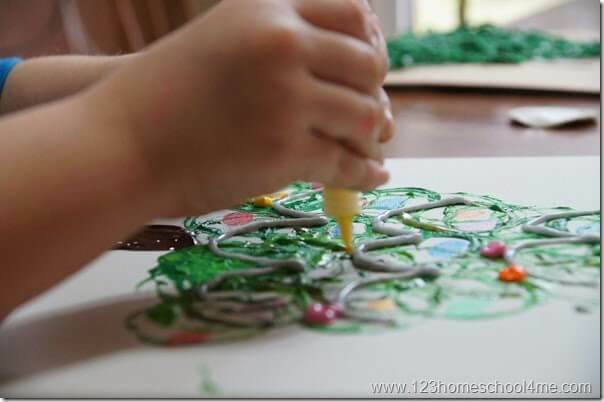 The overlapping shades of green will create a beautiful tree. You need to wait until your tree dries before continuing. Tip: We dried our with a hair dryer in 30 seconds. 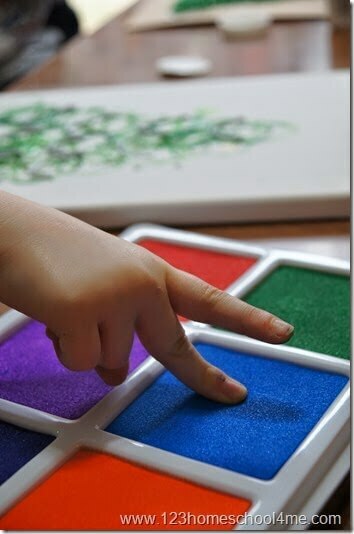 Have your child use their fingers to make lights in the Christmas tree using the stamp pad. As our final step we used puffy paint to add garland and ball ornaments. I think it gave our Christmas Tree Craft a very polished look to have the depth of these three different techniques. This piece of art is proudly hanging on our wall.